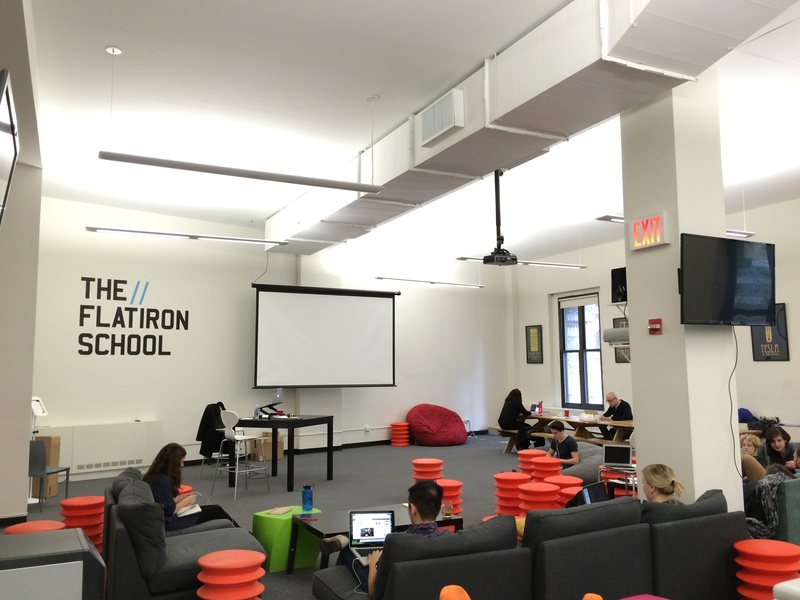 The Flat Iron School is NYC's premiere computer programming school. 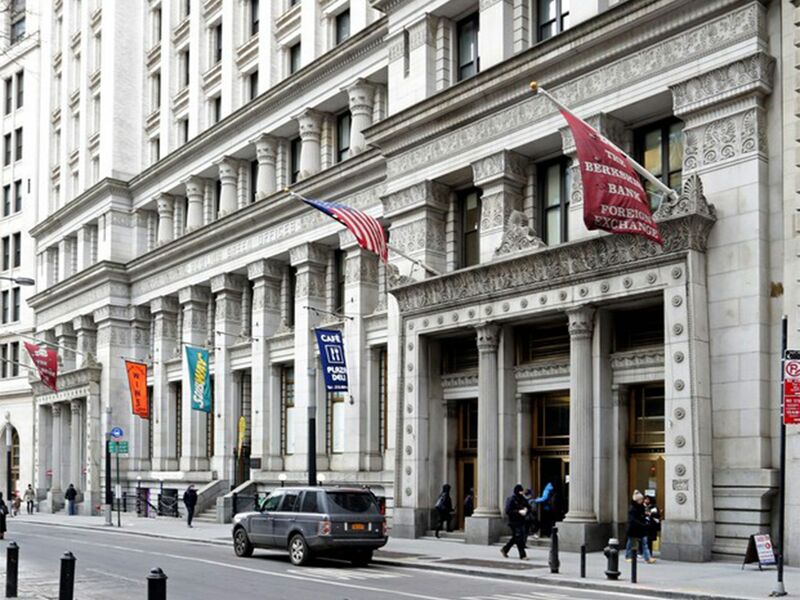 The top tech firms like Google, Twitter and Yelp recruit from this school every year. 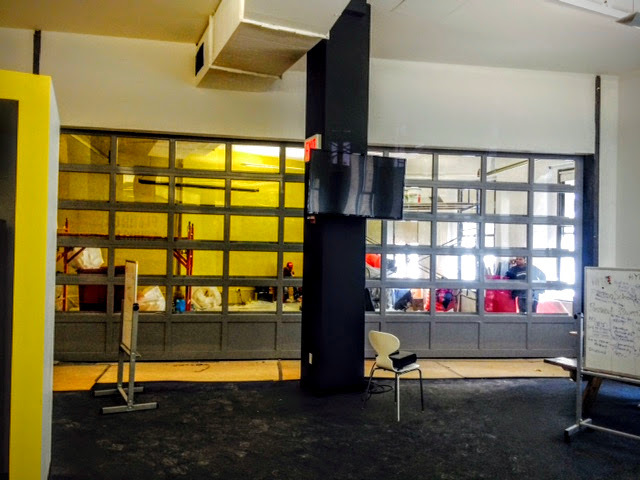 Flat Iron School's design team called us needing a cool way to partition their wide open space. 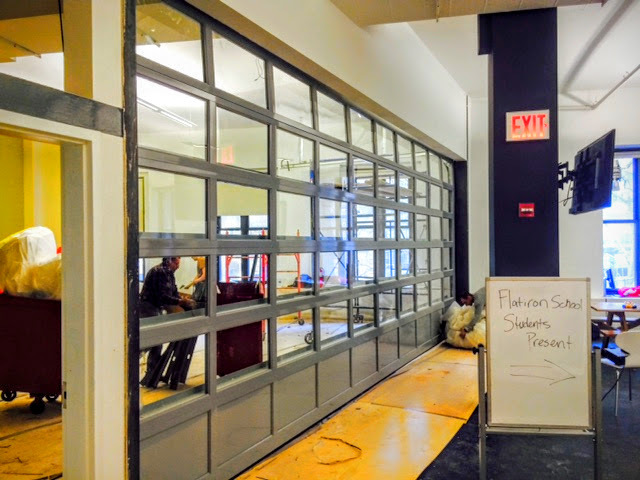 They used our Modern Aluminum Series 521 Door by Overhead Door Corporation for the project. If you notice the exit signs in both photos here, you will get a "before and after" view. This door system was NOT easy to bring up. Our mobilization team of 7 took almost all day to bring these very high panels up through different stairwells to eventually slide the panels through a window in the room.